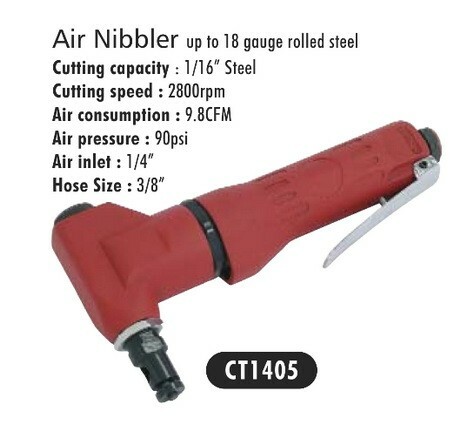 Air Nibbler. Ideal tool for cutting out templates and running profiles in zinc or mild steel. This tool works on the punch and die principle, taking lots of crescent shaped nibbles from the metal.